Stepping it up cinematically and making his Wuxia pian debut, Ronny Yu emerged as a voice as one to be reckoned with. Therefore we’ll be reviewing his 1993 movie The Bride With White Hair, starring Leslie Cheung and Brigitte Lin. 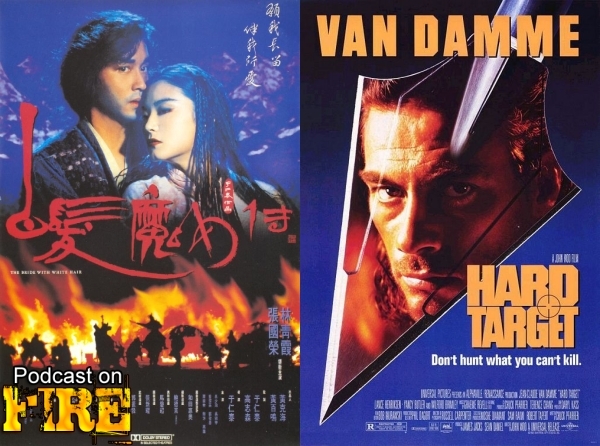 Fast forward to a director who was setting the action cinema on fire (and some of his actors), John Woo made his Hollywood debut with Hard Target and that’s we are reviewing also. With Kenny B and the co-host of the East Screen West Screen podcast: Paul Fox.